2016 holiday season, compared with last year. billion for the five-week period ended January 2, 2016. 706-902-4949. The recording will be available at approximately 1:15 p.m.
Pacific Time on January 5, 2017 and available for replay until 1:15 p.m.
Pacific Time on January 13, 2017.
earnings per share for fiscal year 2016.
sites. 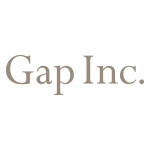 For more information, please visit www.gapinc.com.